London - Rio Ferdinand won't face former England centre-back partner John Terry, fined for racially abusing his younger brother Anton Ferdinand, when Queens Park Rangers play London rivals Chelsea at Loftus Road on Sunday. Terry was banned and fined £220 000 by the Football Association for racially abusing then QPR defender Anton Ferdinand at Loftus Road in 2011. 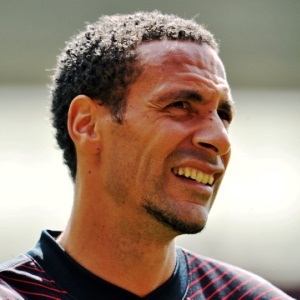 The incident prompted a falling-out between Rio Ferdinand and Terry, who gave up the England captaincy in the ensuing bitter furore and has not played at QPR's home ground since September 2012. Sunday's match is important to both clubs for different reasons, with Premier League leaders Chelsea looking to move one step closer to the title as QPR try to climb out of the relegation zone. QPR manager Chris Ramsey, confirming Rio Ferdinand's absence, said Friday: "Rio has unfortunately got an injury. He's had a knock and it's recurring, he keeps trying to train. "He's someone we miss immensely. We miss his leadership qualities on the pitch. Unfortunately, he won't be involved in the game," added Ramsey, whose side followed a heartening 4-1 win at West Bromwich Albion with a 3-3 draw against fellow strugglers Aston Villa on Tuesday. Ramsey, one of a handful of black managers in English football after being given the QPR job following the resignation of Harry Redknapp in February, said he expected home supporters to make their feelings towards Terry clear. "Fans are fans aren't they?," Ramsey said. "That's a subject that brings up a lot of different emotions. So, it would be odd to think that there isn't going to be an extra feeling towards that situation. "The whole episode for British society sat uncomfortably. It's not something we want to highlight in football. It happened and it's been dealt with. We have to move on and hopefully everyone has learned something from it." And Ramsey added he would have no difficulty in shaking hands with Terry, provided nothing untoward took place during Sunday's match. "Ultimately John Terry is a player of Chelsea. I am a manager of QPR," he said. "As a man, as a person, I would shake his hand. I don't know what his feelings are towards me. As long as there wasn't anything on the field that wasn't unprofessional by him, I would shake his hand."